Original artwork by Doirn, over here! This week is going to be insane at work. 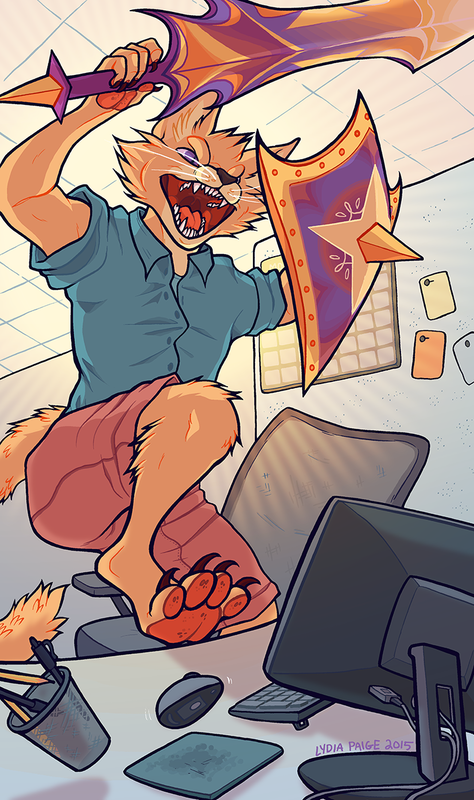 This commission I snagged a few months ago pretty much perfectly represents my life right now. He shall VANQUISH! ... Syntax errors.